John MacArthur has often said that the Legalist and the Antinomian make the same dangerous error—they define their relationship with God by their relationship with the law. Willi Unger grew up in a church that espoused a tradition-driven, legalistic approach to the Scripture. It was a church that emphasized a strict series of do’s and don’ts, a legalistic standard of dress, and an interpretation of Scripture that relied on tradition more than sound hermeneutics. But the Lord radically changed the course of his life in 2006 when Willi attended the annual Shepherds ’ Conference held by European Bible Training Center (EBTC), The Master’s Academy International’s member school in Germany. Once Willi heard the sound, expositional teaching of God’s Word, he grew hungry for more. Once Willi heard the sound, expositional teaching of God’s Word, he grew hungry for more. Shortly after that Willi and two other men from his church enrolled in their first class at EBTC. EBTC’s program is unique in Europe, meeting the needs of a church climate that relies on bi-vocational pastors. The program provides Bible-training in a weekend-format that allows the men to remain close to work, family, and church ministry as they study. As Willi and his friends continued their training—devoting their weekends to class sessions and multiple hours each day to study—they developed a desire to plant a church that would teach Scripture faithfully and accurately. In 2010, that desire became a reality. Today, their church is small, about 70 members; however, through that small congregation, they bless EBTC by hosting training weekends, allowing many more church leaders access to the same kind of pastoral education Willi has received from EBTC. Willi’s church serves churches all over Europe by helping provide the type of training Willi received at EBTC. In addition, Willi has completed his training in Biblical Counseling and now teaches several classes at EBTC’s Rhineland location. 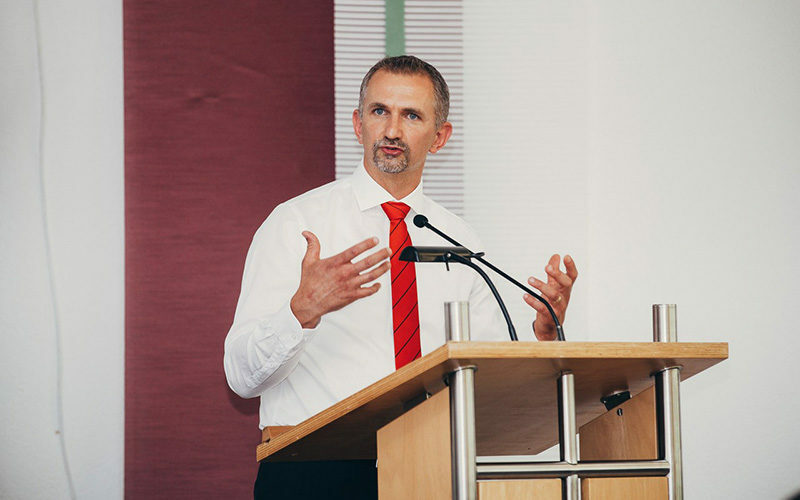 Because of men like Willi and the other EBTC faculty members—because of their continued commitment to providing Bible training that accommodates the unique needs of the German church—EBTC is now the largest German-speaking Bible school in Europe. 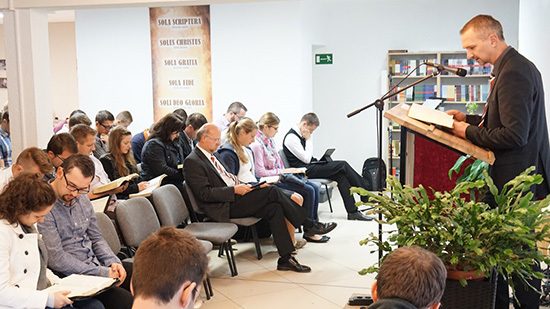 EBTC is now the largest German-speaking Bible school in Europe. Willi is a prime example of the type of ministry to which TMAI is committed to—to equipping national church leaders with the tools to accurately handle the Word of God. These men are now able to plant and strengthen local churches, evangelize the lost, and train others to do the same. This is biblical ministry. This is Great Commission work. This is the type of work you support when you pray for and give financially to TMAI and member schools like European Bible Training Center. Thank you for your continued support. < Prev Post Am I a Banker or Pastor?